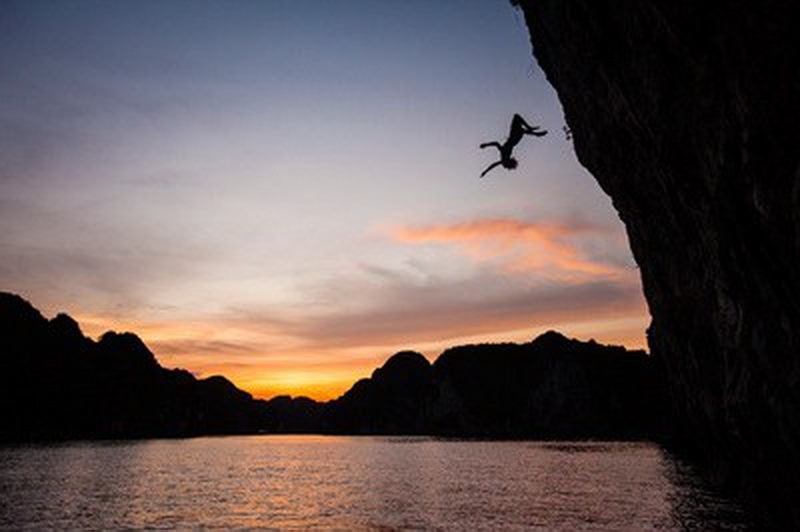 This full Asia Outdoors experience includes a full day kayaking, exploring less-traveled areas of Lan Ha Bay, rock climbing on a hidden beach, and trekking completely off the beaten path on narrow goat trails through the jungle. Enjoy two unique nights: Relax on the first night at a tranquil and secluded bungalow deep in the national park as you rest up for your next day’s activities. 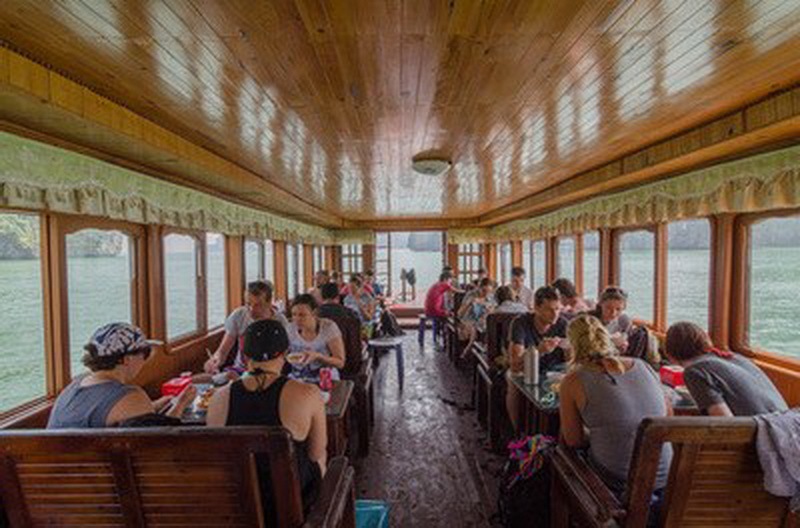 Spend the second night on the Asia Outdoors boat enjoying an authentic dinner and drinks with your personal guide as the sun sets over the floating fishing village. Then, swim in glowing waters lit by bioluminescent plankton before sleeping under the stars on our boat’s top deck. 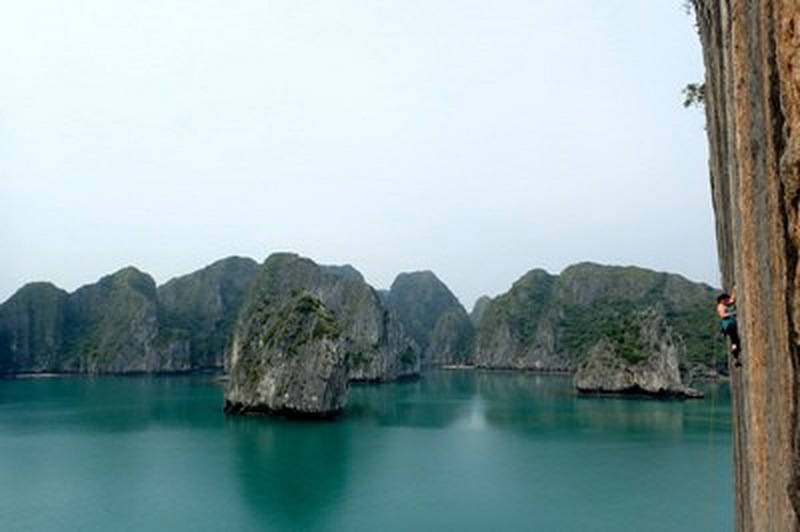 Join us for a late morning start with a relaxing cruise into Lan Ha Bay followed a Vietnamese lunch cooked fresh by our crew on our traditional junk boat. After lunch we’ll land on secluded and uninhabited Moody Beach, where the sea borders two shorelines beneath a massive limestone cliff. 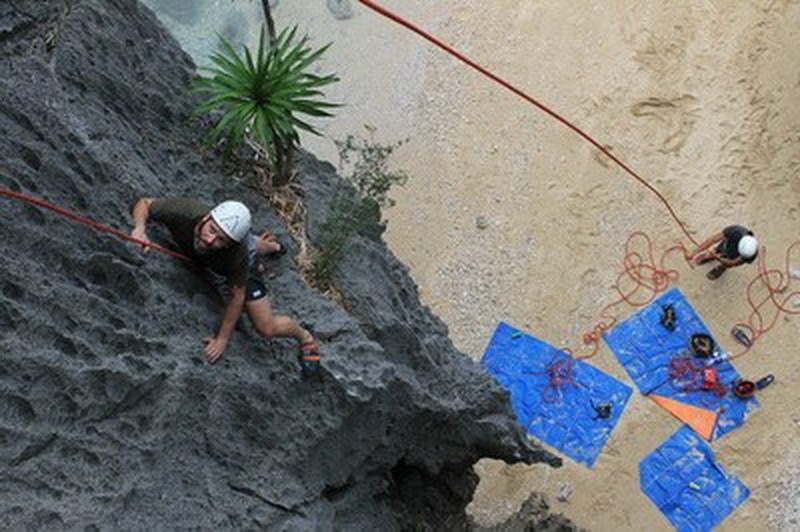 Our guides will give a brief introduction, set up climbs and outfit you with climbing harnesses, shoes, and helmets. 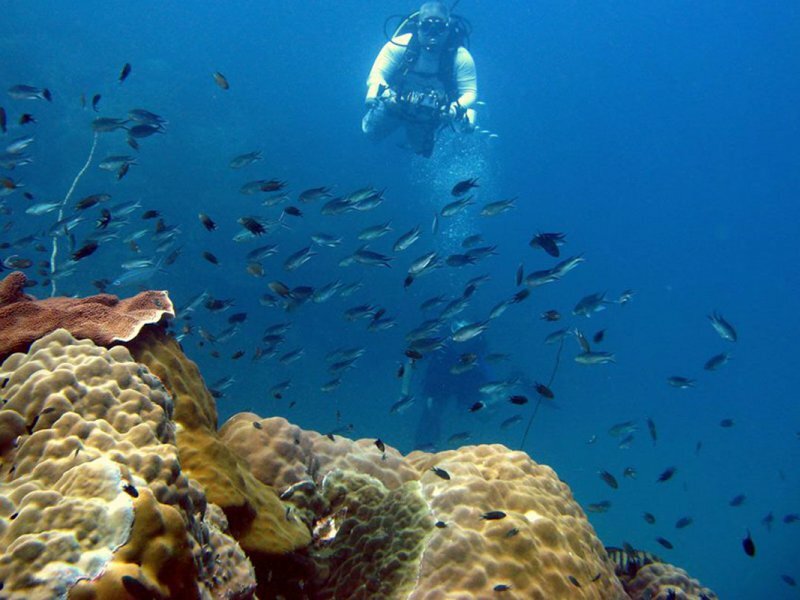 Then, we’ll coach you as you safely climb high above Lan Ha Bay’s emerald waters and jungle beaches. 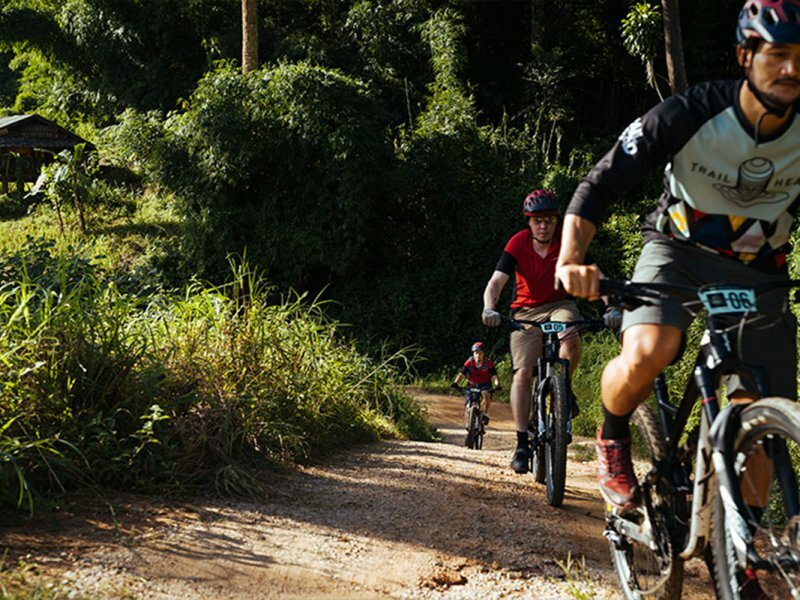 Our routes range from beginner to intermediate, so there’s sure to be a climb for everyone. Next you will be whisked away to the to peaceful tranquility of Whisper of Nature, a serene village bungalow located deep in Cat Ba’s National Park, the perfect place to embrace nature and get away from it all. 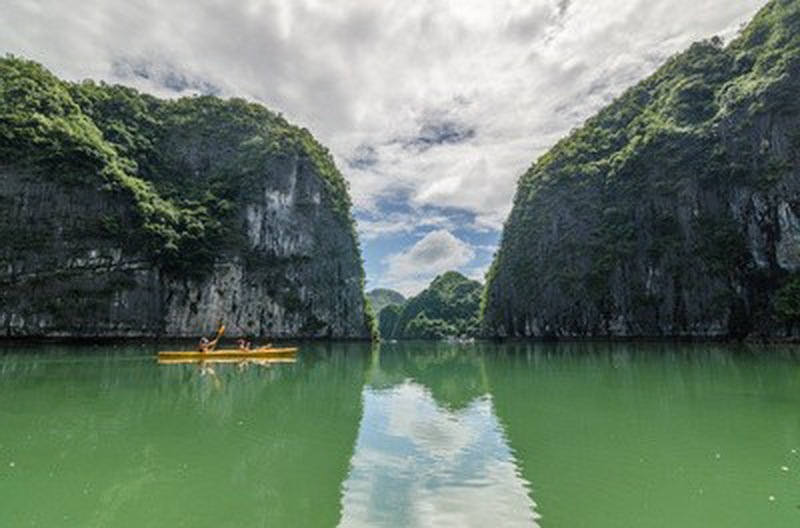 The next morning you will be picked up by our boat and cruise through a maze of karst towers before collecting kayaks from a floating fish farm and dropping anchor in a tranquil cluster of islands. 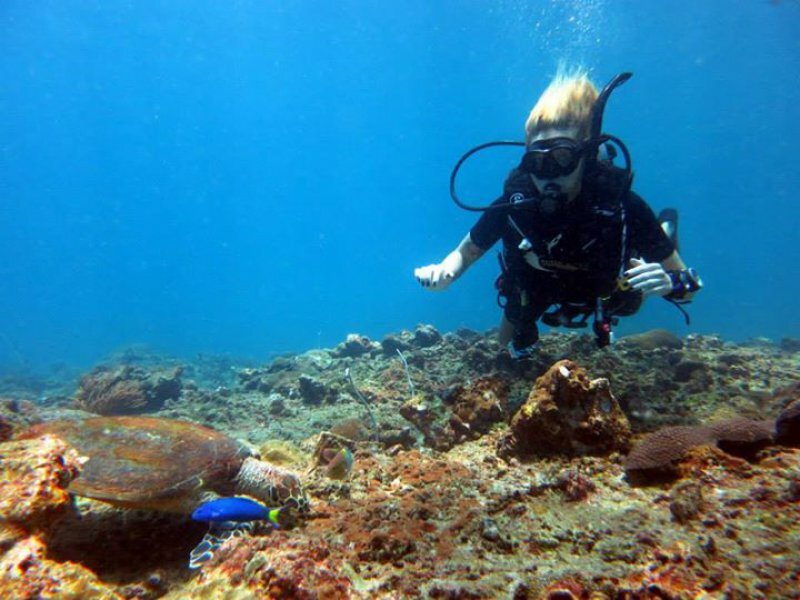 Our guides will navigate into hidden lagoons, explore deserted beaches, paddle through arches, and take you to walls where wildlife can sometimes be spotted. Paddling will no doubt leave you hungry for lunch! A freshly cooked meal will fuel you for an afternoon kayaking in a new location, discovering more of Lan Ha Bay’s culture and geology. 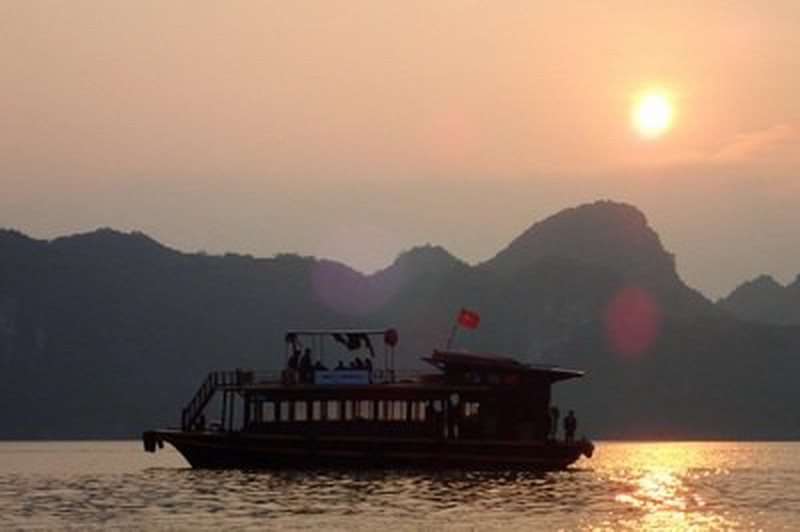 In the late afternoon, we’ll re-embark the Asia Outdoors boat to cruise to a floating restaurant as the sun sets over the islands surrounding us. Feast on a traditional Vietnamese dinner before playing games and conversing through the evening. Lounge on the top deck with karst islands silhouetted in the distance as the sea calms for the night. Don’t forget to stir up the water and watch plankton light up around you! Wake up to glassy waters as basket boats come to life, signaling a new day’s work amongst Lan Ha Bay’s fishing community. After breakfast, we’ll cruise Cat Ba Island where you will be transported to Lien Minh, the oldest farming village on the island. Our local, English speaking guide will then take you off the beaten trail and straight into the jungle where you will trek on narrow goat trails and experience a true taste of adventure. Finish off your adventure with a home-cooked, traditional Vietnamese meals made at the guides home in Lien Minh. Once you are fully satisfied, you’ll return to our shop, ready for your next adventure. Please Note: Our boat’s overnight accommodations are rustic, but very comfortable. It is very much camping on a boat. There are no private cabins and no showers, however, there is a flush toilet. Our guests generally sleep in the cooling air of the top deck on the sleeping pads provided. In the event of rain there is one cabin on the boat that everyone shares. It can be tight but is all part of the outdoor camping experience. 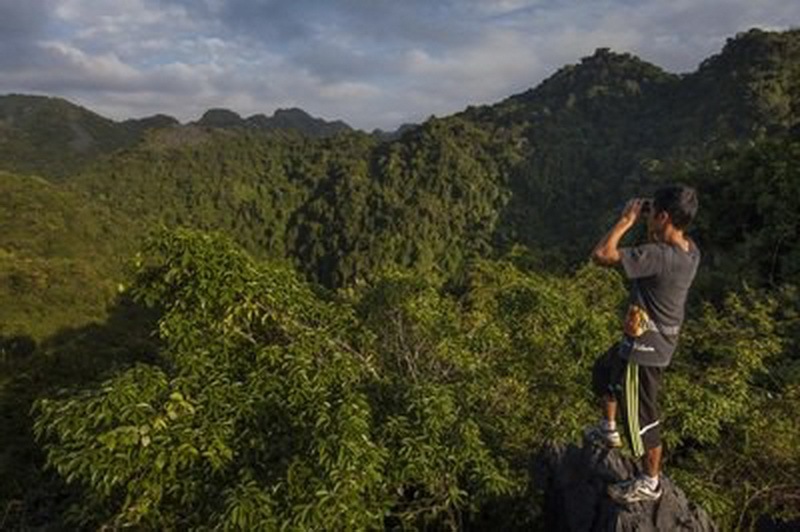 Although accommodations are basic, it’s an amazing way to experience the Cat Ba way of life! About three quarters of Cat Ba’s population live in floating villages. Many fishermen spend their nights on junk boats similar to ours. Get a feel for life at sea while enjoying some modest comforts provided by our friendly staff and the bay’s natural beauty.